You are not logged in. 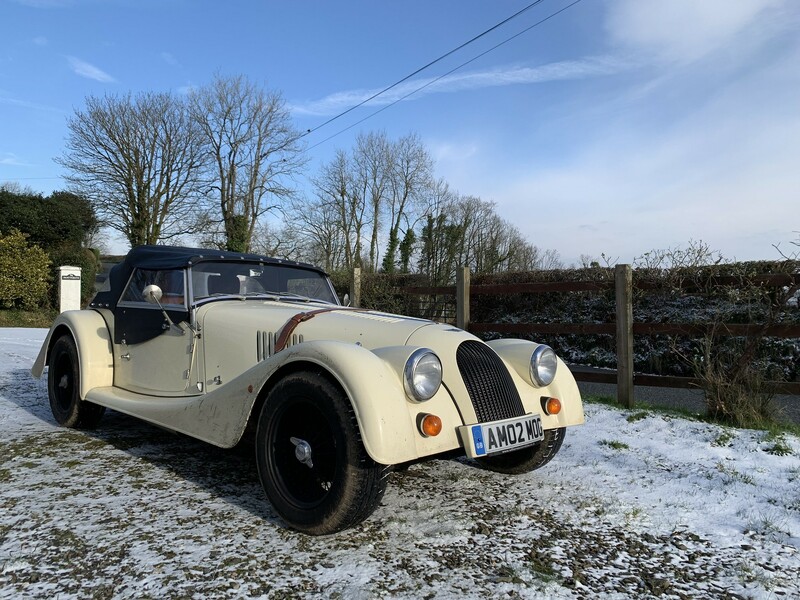 [Log In] Talk Morgan » Forums » Morgan Sports Cars » Classic Morgans » So, have you photographed your Morgan today? 11 registered (Robbie, vittorio, hugo, Nonsuch, Michael H, Fuel.inj, The Austrian, griffo, Player99, Pmh44, esse16), 43 Guests and 17 Spiders online. A good question... one of my past early morning walks was there! Early morning to dodge the rangers and tourists then down a narrow service road if the gate is open. Brave man given the draconian nature of the Sydney Coppers! I figure the police and rangers would be OK once they realise what I was up to and not doing any damage. - just parked outside the house today. Snow's not been bad, but will probably stay off the roads for the moment! Mmmmmm - thought I’d got the hang of posting an image 🤔☹️. You just put a link to the page, not to the image, Arthur. Look at the bottom of the page. See where it says "Embed Codes"? Click on that.